Your Next Stamp Special Feature-FALL! For my card, I used the YNS Fall of Color stamp set. I stamped the sentiment with Chocolate Chip Ink and cut it out with a Circle Nestability. I sponged around the sentiment with orange ink while leaving it in the Nestability. I stamped the leaves with Memento Tuxedo Black, colored with Copics, and cut them out. 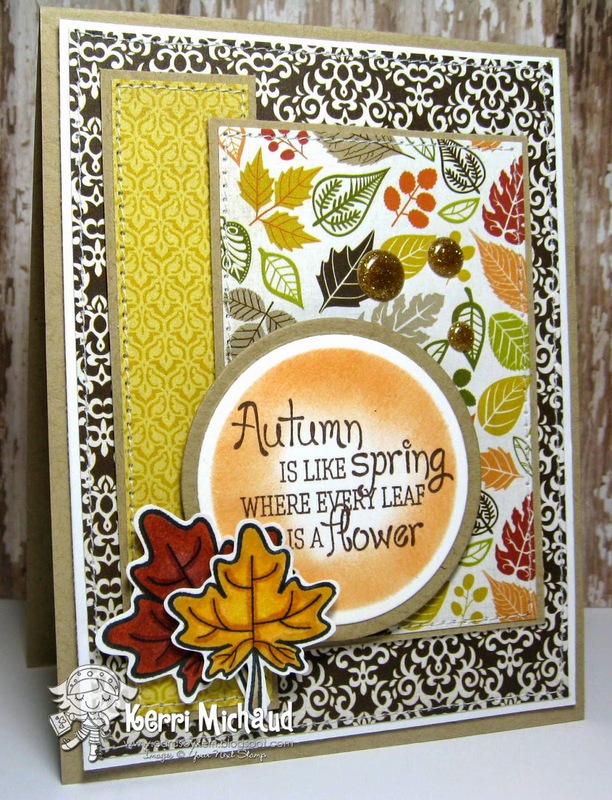 The layout I used is Mojo Monday 363 and the dp is Carta Bella A Perfect Autumn. Finally, I added some stitching and some fabulous Gold Nugget Gumdrops-LOVE!!! You can see more fabulous DT projects on the YNS Blog HERE, and if you leave a comment you will be entered to win a stamp set of choice! lovely card and love the layers!